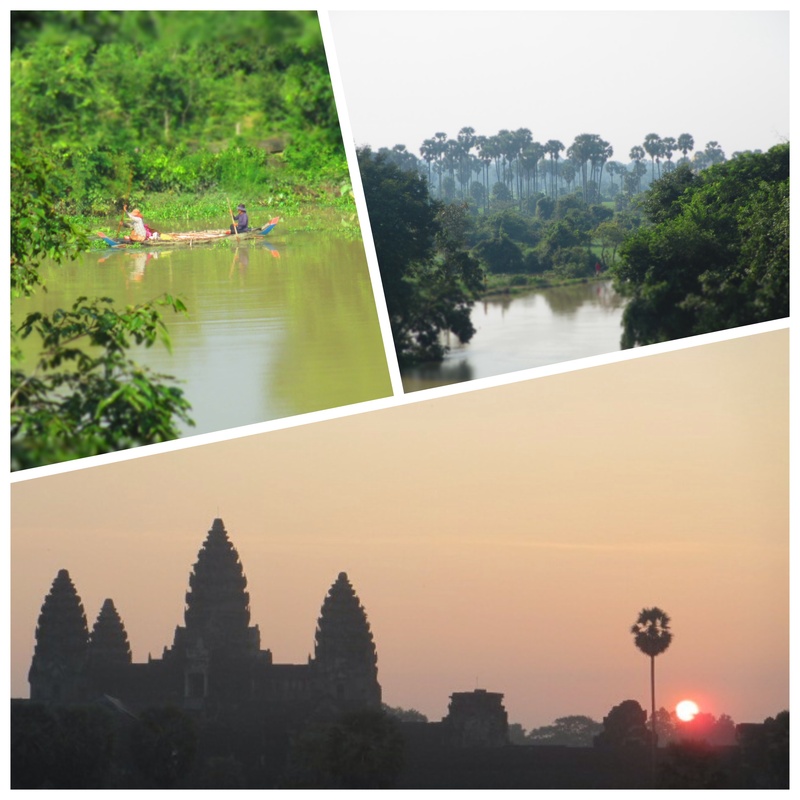 The transition from sedate, well ordered Japan to chaotic, lush Siem Reap was at first shocking. But Siem Reap makes it so easy. Tuk tuks, at $2-$3 a ride, are at your beckoning. Laundry is collected at the beginning of the day and returned cleaned and folded at the end for $6. Fragrant bright flowers coexist with mud and garbage. Khmer food rich with garlic, ground peanuts and lemongrass available on all corners. Whereas in Japan, we had to work hard for the basics, here it was laid in front of us. And the temples. There are few words to describe the Indian influenced Buddhist and Hindu temples. 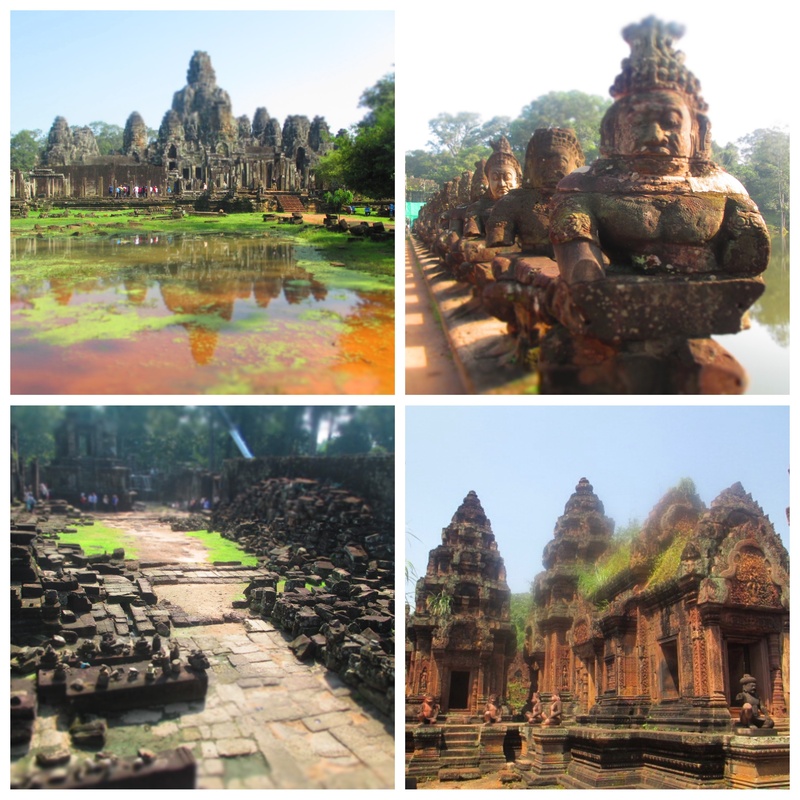 We saw so many beautiful temples in Japan, so why did the temples of Siem Reap leave us in such awe? Perhaps it was the interlacing of majestic with decay. Maybe it was the glow of the light. Or the richness of the sandstone against a pungent jungle backdrop. 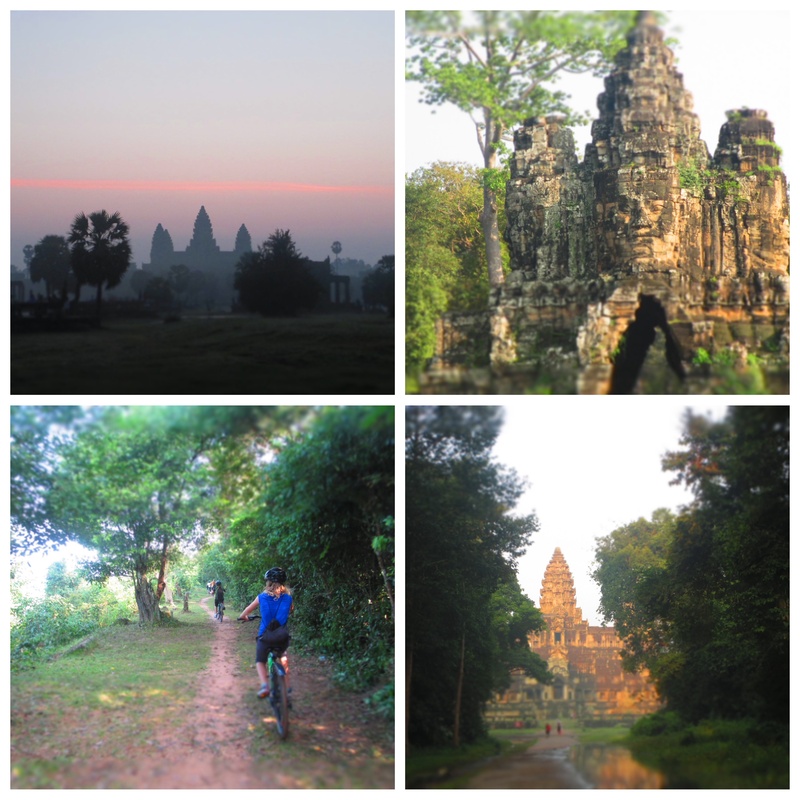 In the end, we left Siem Reap not ready to go and craving more of its indulgent, sultry grit. We stayed at the Golden Mango Inn at $35 night for a family room. The room left a bit to be desired however we’d stay there again. The hotel was clean, staff friendly, grounds provided a lush hangout area and, best of all, they have a sweet pool. We enjoyed the Khmer food. Admittedly we were not too adventurous…no forays to the night markets for $1 dinners. Of the restaurants we frequented, we’d recommend Chanrey Tree, Mie Cafe and Sister Srey. Beyond exploring the temples on our own, we also spent a day tour with Grasshopper cycling tours. I highly recommend this outfit. Our guide, Sam, was informative about the temples and the ability to travel alone on a mountain bike in the jungle as we cycled from temple to temple was liberating. We also recommend the Landmine Museum. While Landmine education is the focus, there is significant history regarding the Vietnam War and the impact on Cambodia. It was educational for all of us and the kids are starting to realize the reach of the country we call our own.